Allow me to submit RG's 1lb 6oz Parks Whopper. I may not have anything big this year, although I might squeak out one or two honorable mentions. Ok. When you get one bigger than this one, post it up. Give the variety and weight......ready, go! Re: Largest Tomato of 2016 thread! I lost my hopeful variety for this contest -- Rebecca Sebastian's Bull Bag -- to TRM's, so I don't know if I will have an entry either, but here's hoping.... And good luck to everyone. So this one isn't very pretty, but it's a little bigger than the first entry. 1 lb 9.25 oz Lerher Tomate. I haven't gotten any more close to that one since the excess heat and drought really set in. I picked this one a couple days ago. It was just starting to ripen, but we had gotten quite a bit or rain with quite a bit more forecasted. It was so pretty and perfect that I didn't want to risk it splitting. 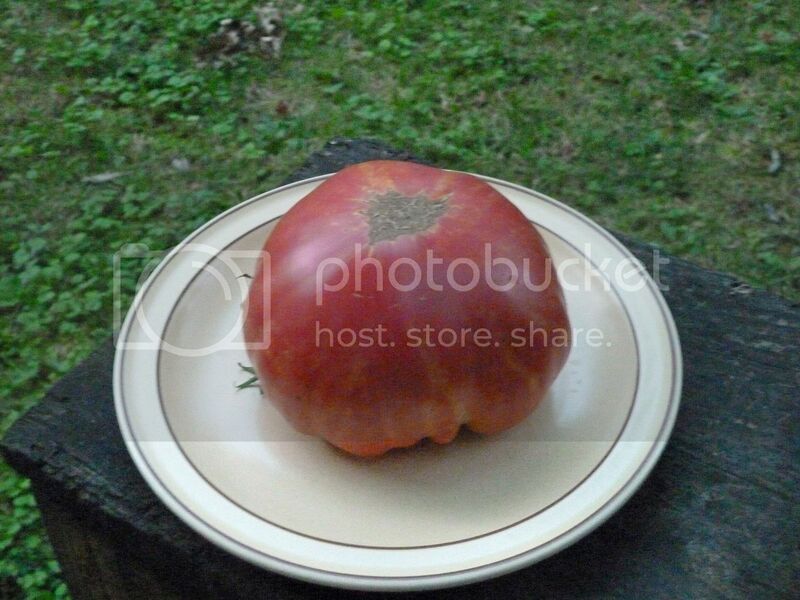 It's also a Lerher tomate...1 pound, 10.25 oz. persimmon tomato I just picked and not 100% ripe yet,supposed to have heavy rain tomorrow and I wanted to avoid splits. With the severe heat and drought, I haven't had any more large tomatoes, but now that the temps have finally broken and we are having temps in the mid 80's instead of mid 90's, my tomato plants are getting more productive again. (We are still in extreme drought, but that is easier to remedy with my water hose.) I have a couple of big beef tomatoes that are shaping up to be pretty good sized. Let you know if they end up being qualified to enter the contest! Not a winner, but I broke last year's record with no effort on going for size. Not bad for plants being too crowded and too many weeds. I've been admiring all of these world class tomatoes and wondered if there was a catagory for those grown hyroponically. I started a DWC grow this year and just picked my biggest one yet. I had an 18oz Omar's Lebanese but it made contact with the ground and got buggy/rotten. I gave it a proper burial yesterday and will overwinter the descendents. 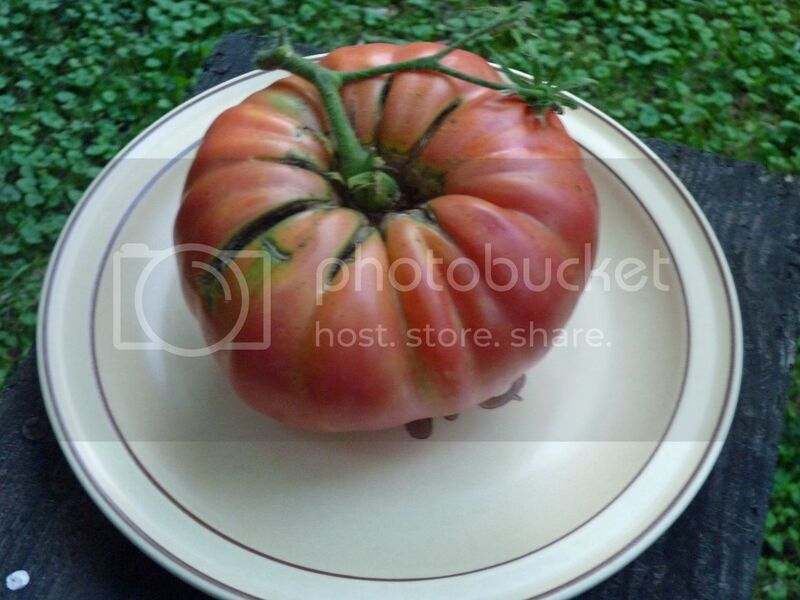 This is a Big Beef tomatoes. Wow these are so good, same flavor, slicing, looks as, Beef Steak, Beef Master, Jet Star. Very prolific tomatoes 4 plants produce 10 lbs of tomatoes every day none are smaller than 12 ounces. You are all doing great! I keep weighing them, but My biggest so far is still under a pound.